We all hit rocky patches on the path of life as individuals and as couples and families. Stepping away from the normal rhythms of life can provide a catalyst to growth and healing of your family. 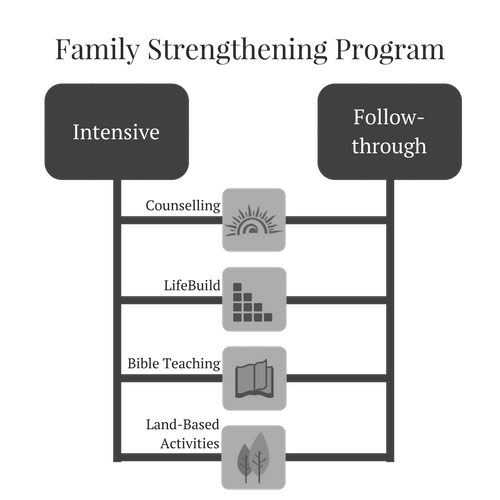 This program is developed as a nine-week program with two specific elements designed for families: intensives and follow-through. The first three weeks the families will reside at Eagle’s Cove where they will have an opportunity to heal and grow together through: family counselling from trained counsellors; land-based activities; LifeBuild (life development and skills coaching); and Bible teachings. As the families return to their homes the six-week follow-through will support them in maintaining the new changes in their everyday life. To encourage continuity of care, the same counsellors, LifeBuild coaches, and NorthWind staff and volunteers will support the families. Beyond the nine-week program families are welcome to continue to see their counsellor to promote ongoing healing and breakthrough. They are welcome to continue to participate in additional LifeBuild workshops in Thunder Bay to encourage personal growth. 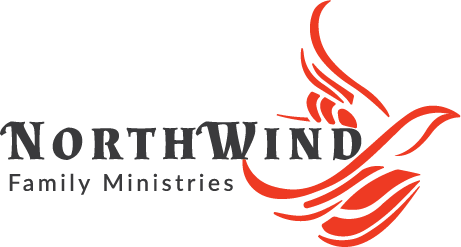 The NorthWind Family Fellowship and Family Events are always available for continued support, as is ongoing intentional relationships with other participants and staff team. Building a sacred community of hope and healing.